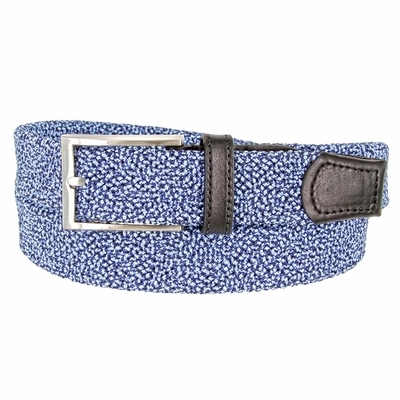 30200_BL049 Knitted Woven Elastic Stretch Fabric Casual Jeans Belt. 1-1/4" = 32mm wide Black/Blue Elastic Fabric with Leather Covered Tip. No Holes. Can be adjusted to any size you want. Brushed Nickel Plated Belt Buckle and a Leather Keeper.